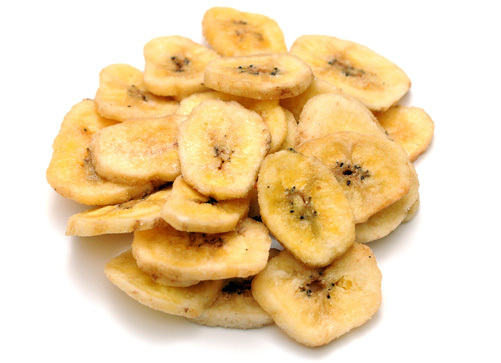 Quality: Use solid yellow or slightly brown-flecked bananas. Avoid bruised or overripe bananas. Peel and slice 1/4 inch to 3/8 inch thick, crosswise or lengthwise. If lighter color is desired, pretreat by dipping into mixture of lemon juice (1 T), honey (1/4 cup), and water (1/4 cup) or ascorbic acid or pineapple juice.